100% SATISFACTION! We are always happy to give our customers an exceptionally remarkable shopping experience, if the product is defective, breaks or you are not satisfied. 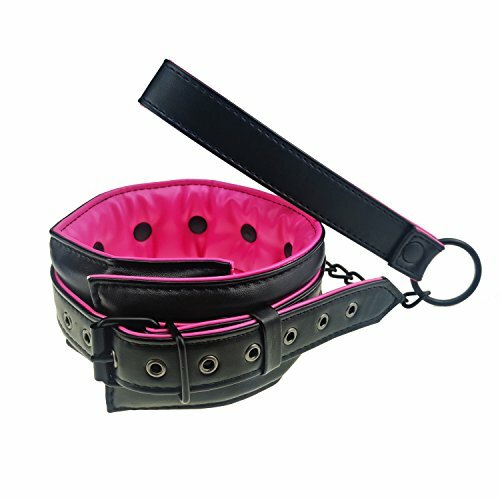 PREMIUM QUALITY MATERIALS made of high quality PU leather and durable chain leash. EYE CATCHING DESIGN this eye-catching collar with stylish accessories and unique pink and black matching perfect design. SOFT CHOKER our collars is unsurpassed，soft foam padding inside,give you a comfortable to wear experience. STRONG CHAIN this extra heavy quality chain is argon welded and chrome plated for maximum strength and durability. If you have any questions about this product by KOL_Fashion, contact us by completing and submitting the form below. If you are looking for a specif part number, please include it with your message.